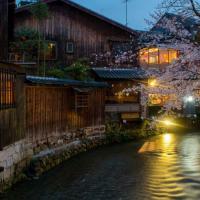 Kyoto transforms into its most magical as dusk falls - so with a Local Host to navigate, explore the tiny back alleys of the old district and experience the urban buzz of the most modern parts of the city. Ancient tradition blends with contemporary culture in this city, and the best time experience this captivating mix is after dark! Explore the enchanting wooden alleyways lit with traditional paper lanterns in the historic Gion district and the picturesque streets of old Pontocho, where if you’re lucky you might spot one of the beautiful Geishas on their way back from work. 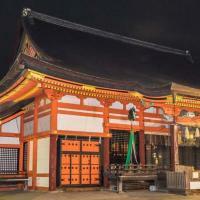 Then discover where sacred shrines sit hidden in the most cosmopolitain shopping areas and share some small dishes and beers with your local in a traditional izakaya or tachinomiya! Wander through Gion, the historic Geisha district where you can get a little lost in the narrow streets and appreciate the tradition and beauty of the classic architecture while the area is lit with the glow of paper lanterns - you may even see elegant geiko and meiko floating through the alleyways. Let your Local Host take you to their favourite izakaya, the drinking houses where locals gather after work to share a few drinks and delicious bar food staples like gyoza and yakitori, then head to a Tachinomiya, the street-side bars where locals drink standing up as there are no chairs! Get to know your Local Host over the evening, and they can recommend other spots in the city that will fascinate you, and recommend shrines, izakaya, shopping districts or places to eat for the rest of your trip so you can continue to see the city through a local lens. Your Local Host will communicate with you directly to suggest an itinerary based on your wishes and interests and to agree a meeting time and place. Your itinerary is flexible, so during the experience, you can always change your mind about what you want to do. Although the focus will be on Kyoto by night, your Local Host will also help you to discover unique shops, inspiring places, and independent galleries as well as sharing stories that you won’t find in a guidebook and make the city unique. We booked the "Magical Kyoto After Dark" Tour with Yuri, who guided us through the Gion district with confidence and enthusiasm for her local city. We asked to be shown through traditional areas that were good for photography, and Yuri found ideal locations for us to explore and use our cameras. She was friendly and knowledgeable - with great command of the English language. Yuri was also very patient while we stopped to take photographs all the time...there was so much to see and enjoy! We even had a close encounter with a Geisha. We were also grateful for Yuri's great suggestions for eateries and food choices. Her tour helped us to learn our way around this beautiful and diverse city. Thank you Yuri for introducing us to Kyoto! 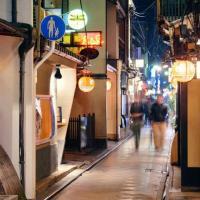 Great walk with Airi through Kyoto at night. Airi was friendly helpful and informative. Really enjoyed the experience. 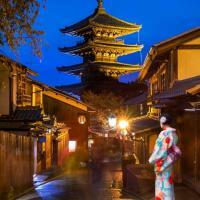 I was very impressed with my guide Guendalina, she was so helpful and I had a lovely time exploring Kyoto at night. She was very knowledgeable and we ate at such a great restaurant which I would never have discovered by myself. She was friendly and very personable. Keep up the good work. I would have no hesitation in recommending city unscripted. They are a great company with fantastic guides. Thank you for making my stay in Kyoto so enjoyable. Work with CityUnscripted to create tours to really see and experience the places you visit! I took two 4-hr tours with CityUnscripted while in Japan, the first in Tokyo and the second in Kyoto. Both guides, Andrew and Francesca, respectively provided great experiences when tasked with my request of "What would you show your friends and Family if they were visiting?" My trip to Japan was not long planned and I had no chance to do real research to inform my lists. The office staff were great to deal and were able to help me despite my plans being somewhat fluid. I would reach out to them again for tours anywhere they serve.